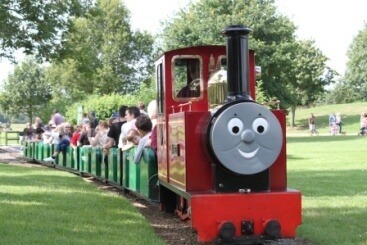 It looks like we are in for a scorching hot half term this May so I thought it might be helpful to share some of the local attractions to help keep the kids entertained in the heat. With the help of suggestions from some of my wonderful clients here are a selection of the local attractions you could visit. 1) Wells-Next-The-Sea – This is one of my favourite sea side resorts locally. Just along from Hunstanton it is a beautiful sea side town with a lovely beach, colourful beach huts, a fun train ride and is great for some crab fishing fun. 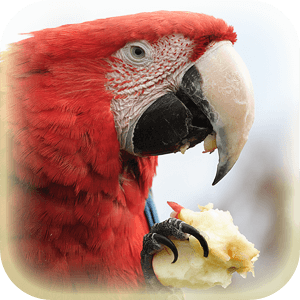 2) Lincolnshire wildlife park – One of the largest animal sanctuaries in the UK, it is home to Parrots, Tigers, Reptiles and many more. I know my children love watching animals in action so this is one that is definitely on my list to visit. 3) Barnwell Country Park – Home to 37 acres of lakes, riverbanks and meadows as well as a woodland adventure play area and Hobbit garden for toddlers. There is plenty of space for family picnics or even a BBQ. 4) Fineshades woods – Fineshades has trails for all ages and abilities to enjoy. 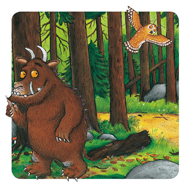 You can walk or hire bikes and enjoy the cycle routes or even go on a Gruffalo Hunt. 5) Rand Farm Park – There are many working or tourist farms within the area but Rand Farm Park is a favourite with my children. It has a great balance of indoor play, outdoor attractions and hands on animal experiences. 6) Ferry Meadows Country Park – Ferry Meadows is where many of my own childhood memories were made and is somewhere I visit regularly with my own children. There are a range of play areas for children, boat and train rides, walks around the lakes and plenty of open fields to kick a ball or throw a frisbee. There are also lots of picnic areas and BBQ spots that make for a great family picnic. Ferry Meadows also has a water sports centre where older kids can try a spot of wind surfing and canoeing. They often run activities during school holidays so it’s worth checking out their website for more info. 7) Radcliffe Donkey Sanctuary – Who doesn’t love a donkey? Home to lots of rescued donkeys who can live out their days in comfort, Radcliffe is free to visit. 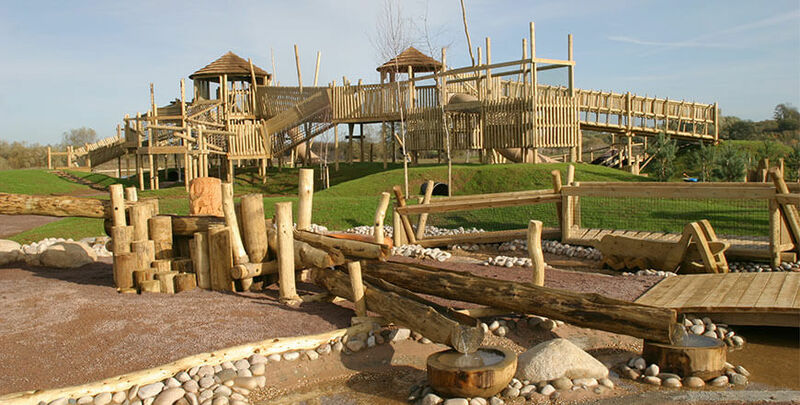 8) Stanwick Lakes – Take your swimmers and towels if you chose to visit Stanwick Lakes as it has a fantastic water play area that will definitely help keep the kids entertained and cool. They often run activities in the school holidays like pond dipping so check out their website to see what’s on. 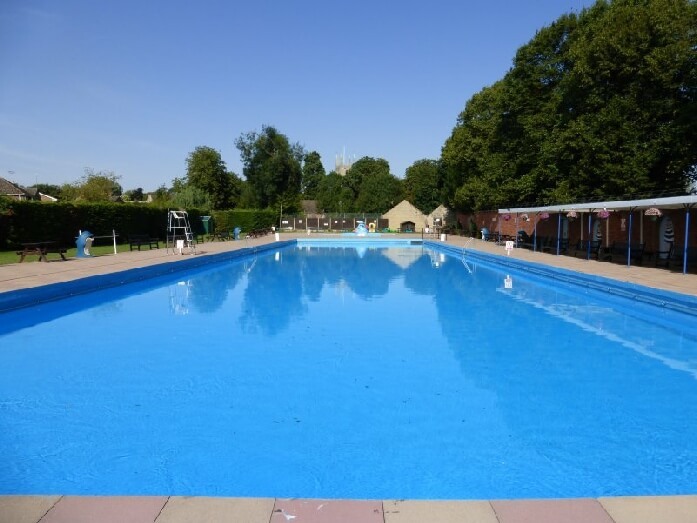 9) Bourne outdoor swimming pool – This wonderful heated outdoor pool opens its doors for the season on 27th May and in my experience, is one of the cleanest and quietest outdoor pools in the area. It is maintained by volunteers and is always a welcoming place to visit. 10) Rutland water – Rutland water has so many things going on that you could probably fill the whole week at just this one location. Water sports, bike rides, man-made beach, water obstacle course, nature reserve, outdoor adventure centre, boat rides and so much more. I hope that you have found this article helpful and that you have a great May Half term. Are you planning on visiting anywhere different this holidays? Why not share your top places to visit in the comments for others to share or let me know what you think if you visit any of my recommendations. Enjoy the sunshine everyone and long may it continue. 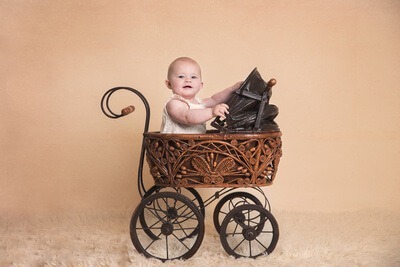 My milestones photography package captures the three stages of babies development in their first year. Recording these moments are a permanent reminder of the early days that are gone all too soon. Your baby will grow, change and develop so quickly in their first year and it is all too easy to forget how tiny and cute they once were. 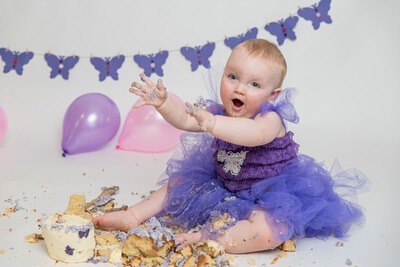 With a milestone photography package, you will be able to record your Baby’s first few days, capturing all their little features and their new-ness with my natural sleepy shots, you will also get to capture them as they start to sit up by themselves and their cute little personalities start to shine through and finish their first year with a first birthday cake smash photo shoot. A milestones photography package includes 3 photo shoots within my purpose-built photography studio near Spalding, Lincolnshire. This session is led by baby’s needs and as a result, can last up to 3 hours, this allows lots of time for feeding, cuddles, and nappy changes as and when needed. 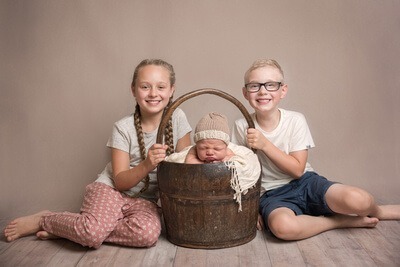 Every baby and family is unique and part of my job is to ensure that I work with you to create newborn photos that will be treasured by your family for years to come. 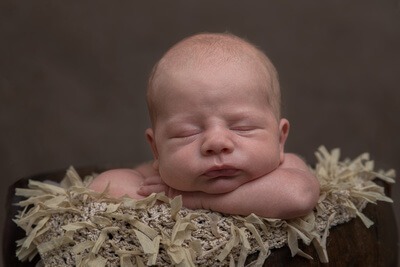 In order to capture the curled up sleepy poses that we all adore Newborn Photography sessions are best carried out in the first 2 weeks after your baby arrives. Between 6-9 months is a great time for your next session as baby will be able to sit unaided, will be smiling and developing their own little personality. These sessions last about 45 minutes (babies tend to lose focus and concentration if we run for too long). 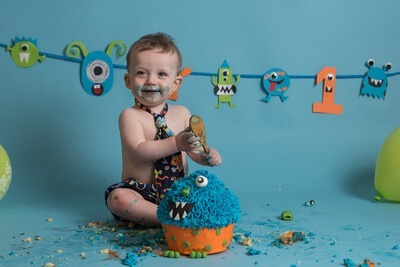 A cake Smash and Splash Birthday Photograph session includes 3 elements. First a mini photoshoot to capture some formal photographs of your little one, a cake smash photoshoot, (Cake and Props are supplied as part of the package), and finally a little tub time in our wonderful child size roll top bath to allow your little one to clean up after the sticky cake fun. Each part is recorded in photographs, creating magical memories of your little one’s special day. Our cakes are individually prepared by the lovely Hannah at Iced Rose, and tailored to your specific theme. Please get in touch via the link below if you would like further details or wish to enquiry about availability. There are lots of articles online about the essential things pregnant ladies should pack in their hospital bag ready for the day they go into Labour. Rest assured this isn’t just another list of breast pads, sanitary towels, nappies, cotton wool, etc. etc. This list is aimed at the things you may not consider, the essential non-essential items for a soon to be new mummy. Hospitals can be noisy places and if you have to stay in overnight music to help you relax and fall asleep is a must have. The last thing you want is a restless night listening to the nurses and Dr’s chit chat. You’ll need all the sleep and energy you can get for baby. Once friends and family hear you are in labour or that your little bundle has arrived your phone will be in constant use. Messages, phone calls, Facebook notifications, using the camera etc. etc. You’ll be amazed how quick the battery drains and you would be disappointed if the battery died just as you were about to capture baby’s first windy smile. For during labour or even after baby has arrived. You’ll be tired and worn out and the last thing you may feel like is washing and styling your hair. However, you will want it to look neat and tidy for the hundreds of photos family will snap of you during the first precious visits. Hospital wards are brightly lit and even at night a light is on somewhere. An eye-mask is a must have if like me light disturbs your sleep. I remember from my own labour and subsequent hospital stay that you are lucky if you get more than 1 pillow and the last thing you want is to be uncomfortable in your hospital bed. Take your own just in case. You will spend lots of time feeding baby in the first day or two and a good book will help to pass this time. Maybe not a tear jerker though as your hormones will be all over the place. Make sure this is loose fitting and comfy. It will take a few weeks for your Tummy to shrink back down so stick with maternity trousers to start with. Hospitals are very warm and can make your lips dry out. You may not feel up to putting a full face of make up on but a splash of lip balm can make the world of difference. Really useful for sending your partner to the shop when the chocolate craving hits or if the hospital meal isn’t up to scratch. A ‘sports bottle’ works well as you can sip it lying down. Have I missed anything? What item was a hospital must have for you? Good luck to all you Mummies to be, your labour will be the hardest yet most magical experience ever and at the end your newborn baby will become the centre of your world. One more thing, don’t forget to take the number for your newborn photographer. Let them know when baby has arrived so they can pencil in the date for your baby photoshoot 🙂 If you haven’t booked your baby photographer yet, check out my Newborn Photography page below. Click below to find out more about my Baby Photography services.